FMC is	UAE's	leading	Third	Party	Health	Insurance	Administrator. 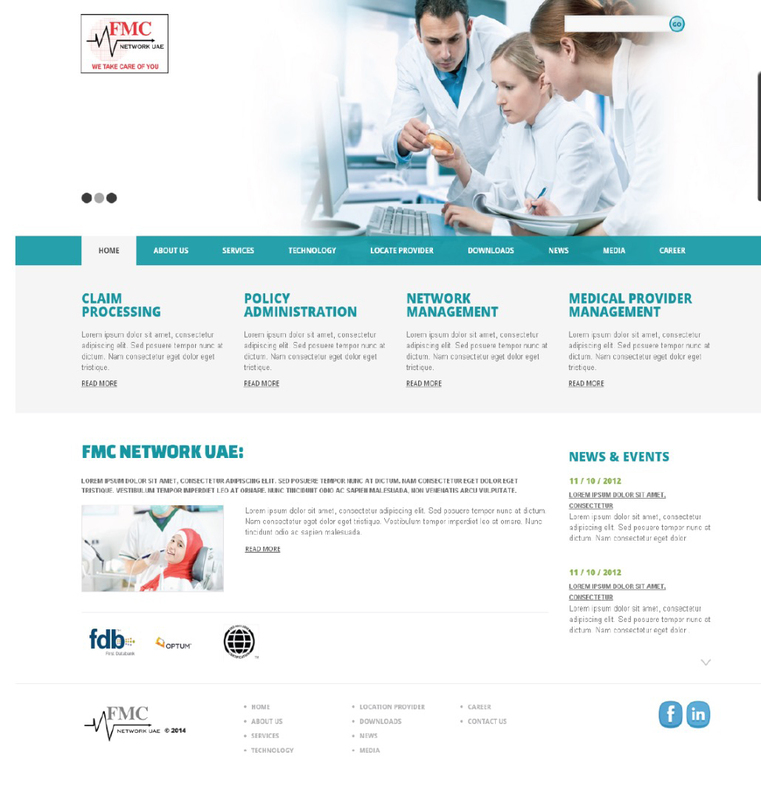 FMC	Network	UAE	has	been	licensed	by	Health	Authority	of	Abu	Dhabi	(HAAD)	as	a	Third	Party	Administrator	for	Insurance	Companies. Now	in	Health	Insurance	Sector,	as	a	functional	unit	for	Third	Party	Administrators	it	has	undertaken	a	role	of	Claims	Administration,	Accounting	and	Data	Management	and	Network	Management. FMC	required	to	have	a	website	that	enables	it	to	provide	information	about	the	hospital	including	the	latest	news	and	events,	photo	gallery	and	videos,	and	other	details	that	positions its	most	accurately	amongst	its	customers	and	the	healthcare	sector	at large. FMC	required	to	manage	its	website,	the front-end	module	through	a	customized	back	end	administrative	module	that	provides	it	flexibility	to	update	information	any	time	required	without	needing	further	development	effort. Interactive	design:	Provide	users	with	a	personalized	experience,	with	easy	navigation	between	pages and	easy	access	to	relevant	information.